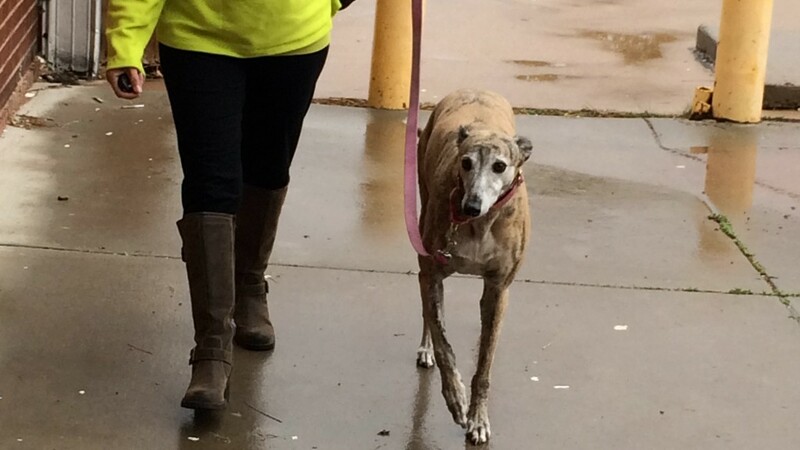 KANAB – Gray skies didn’t keep the greyhounds down Saturday. 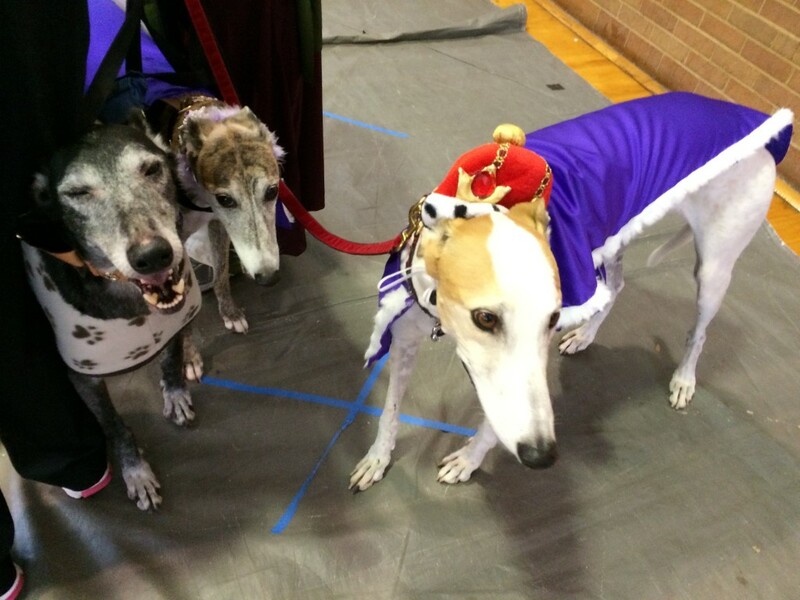 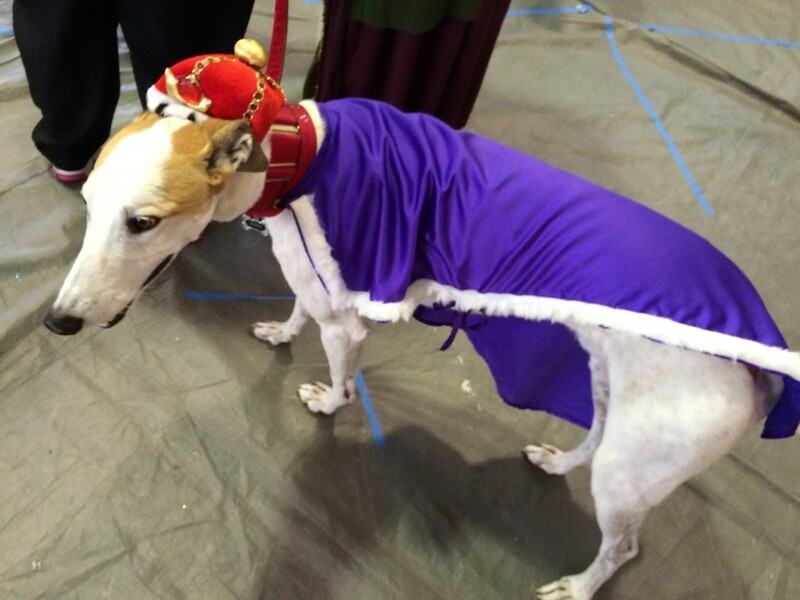 While cold temperatures and wet weather reigned supreme outside, it was a party inside the old Kanab Middle School gymnasium as hundreds of greyhound lovers and their four-legged friends gathered for the annual Greyhound Gathering costume parade. The Greyhound Gathering is a three-day fundraising event and celebration of all things greyhound. 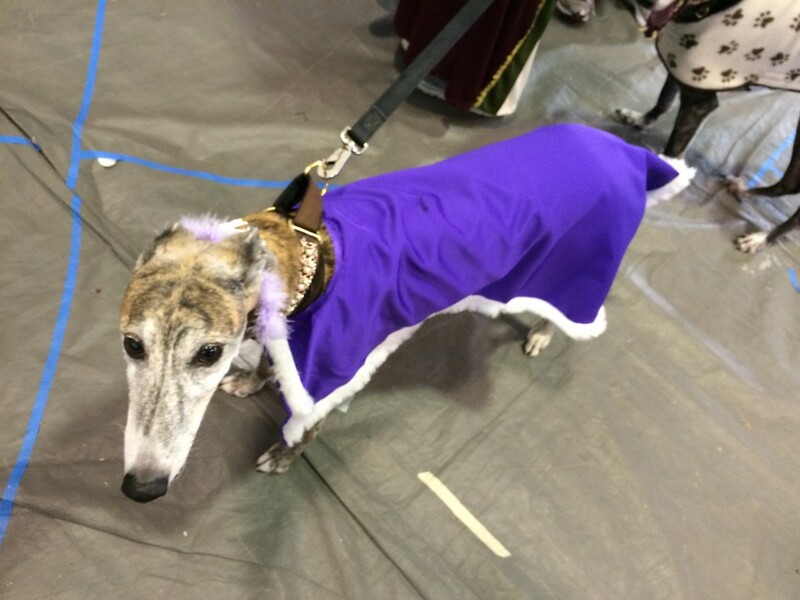 This year marks the 13th Greyhound Gathering since the event was instituted, event organizer Claudia Presto said. 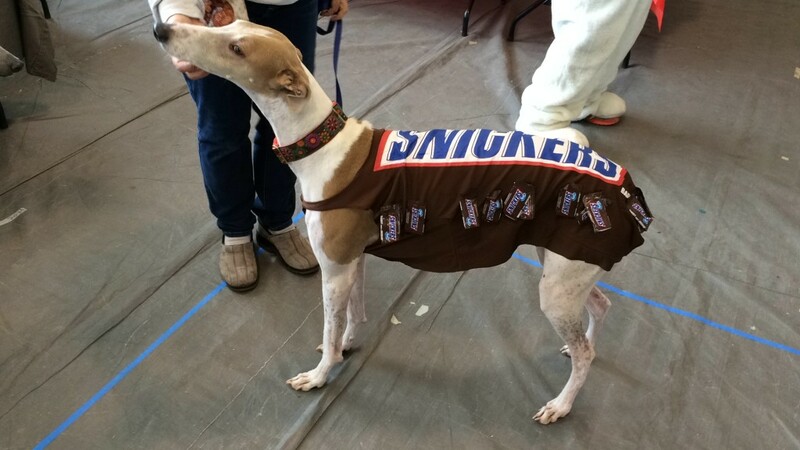 The costume parade is traditionally held outdoors on Center Street in Kanab, but Saturday’s inclement weather caused a last-minute change and forced the festivities indoors. 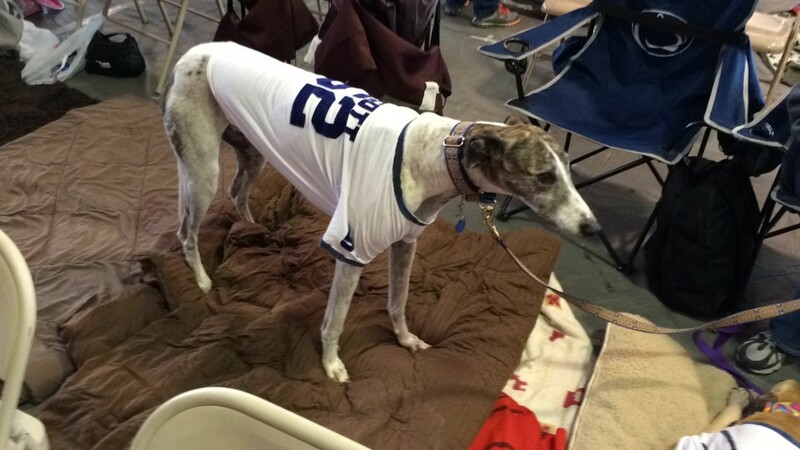 Proceeds raised during the Greyhound Gathering benefit greyhound rescue groups and aid in rescuing and finding homes for greyhounds once their racing careers have ended. 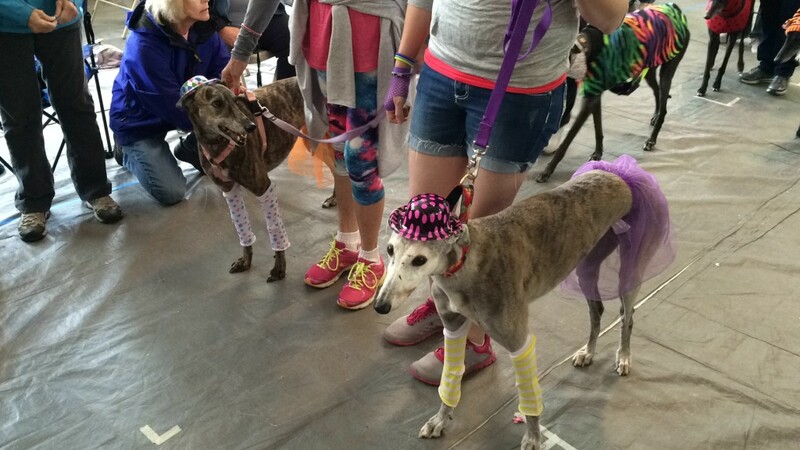 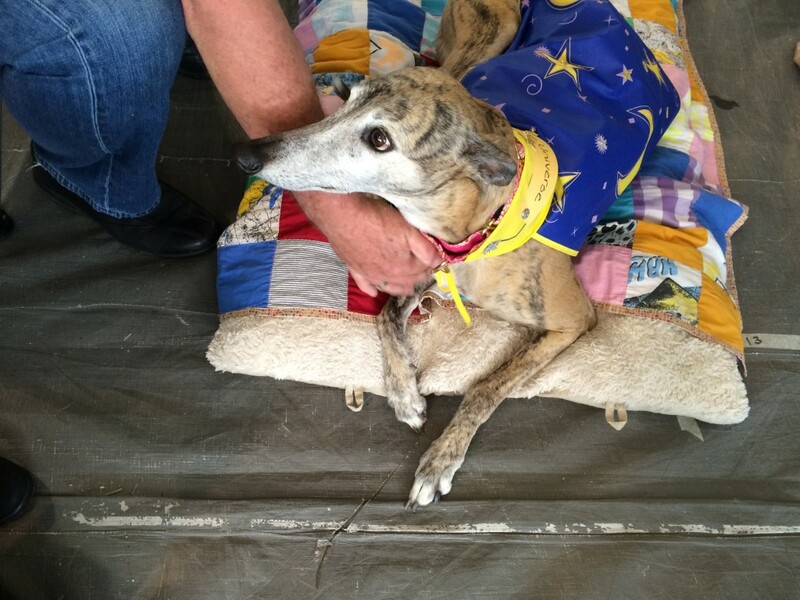 “Every penny of the money raised at this event will go to help rescue and adopt out greyhounds,” Presto said. 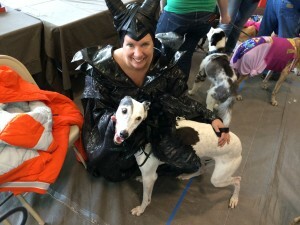 Friday’s hike with the greyhounds at Pugh Canyon, Saturday’s costume parade and the “Blur of Fur” race Sunday were Greyhound Gathering events open to the public. 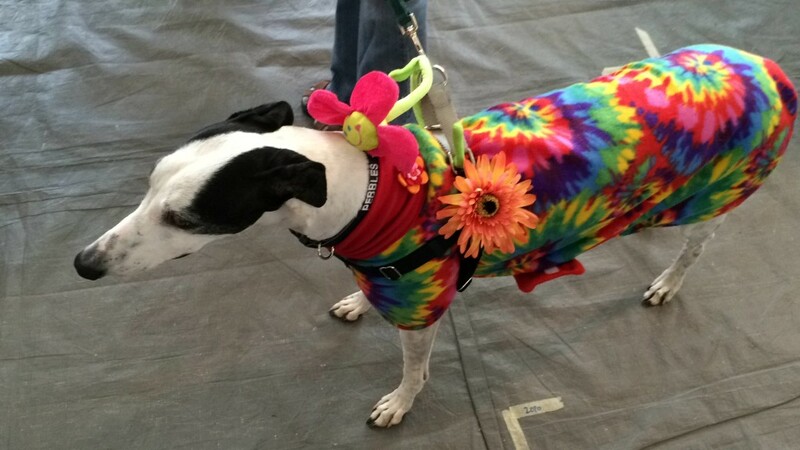 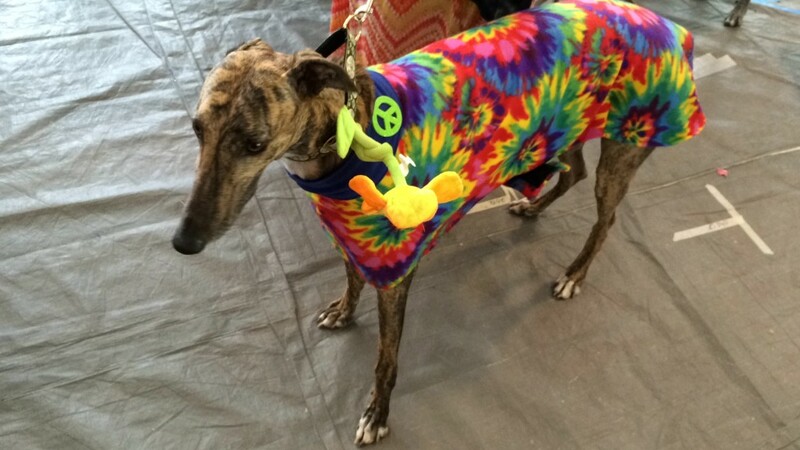 Other attractions over the weekend were for event registrants only and included auctions, contests, a canine carnival, workshops, raffles, social events and more for the greyhounds and their people. 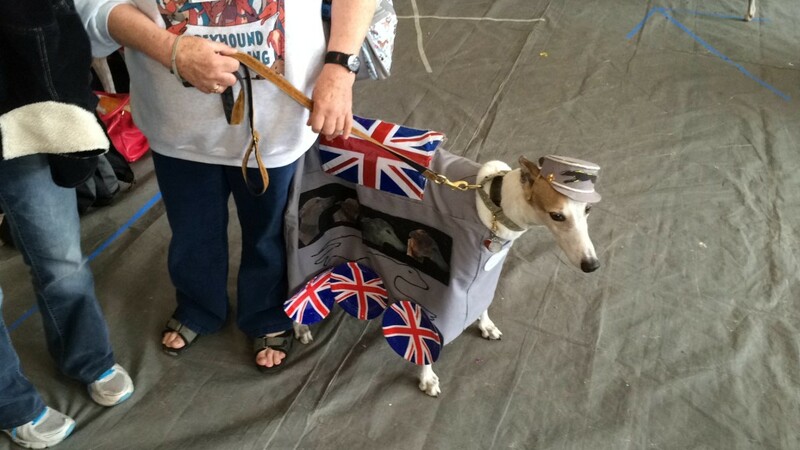 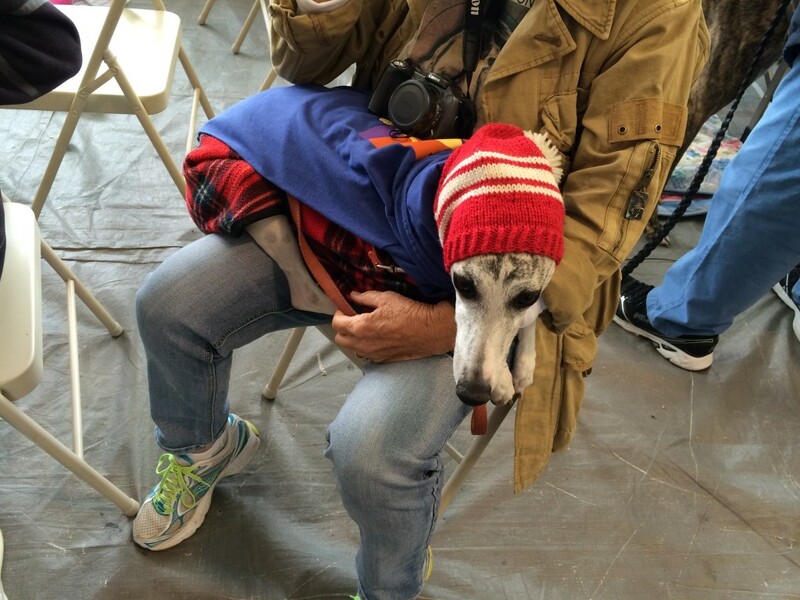 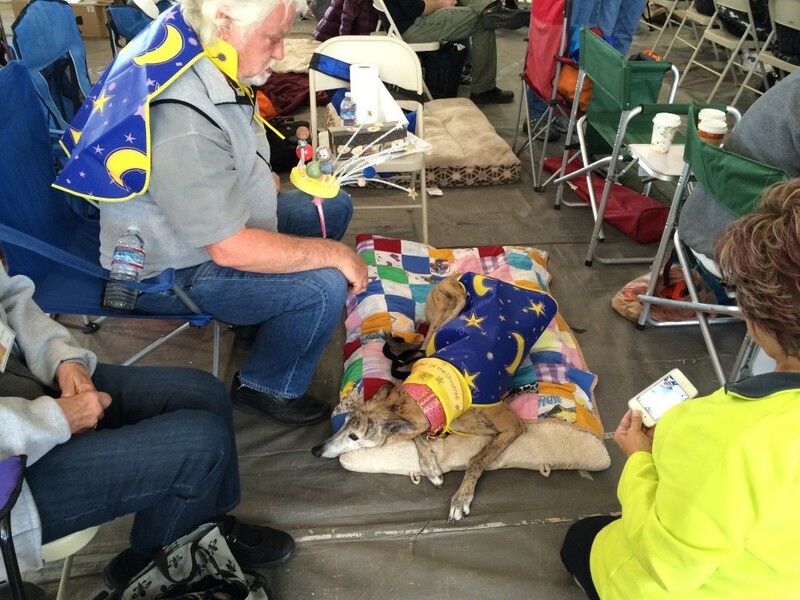 Almost 200 greyhounds showed up for this year’s Greyhound Gathering, Presto said, and people traveled from all around the United States and as far away as England to bring their hounds and be part of the gathering. 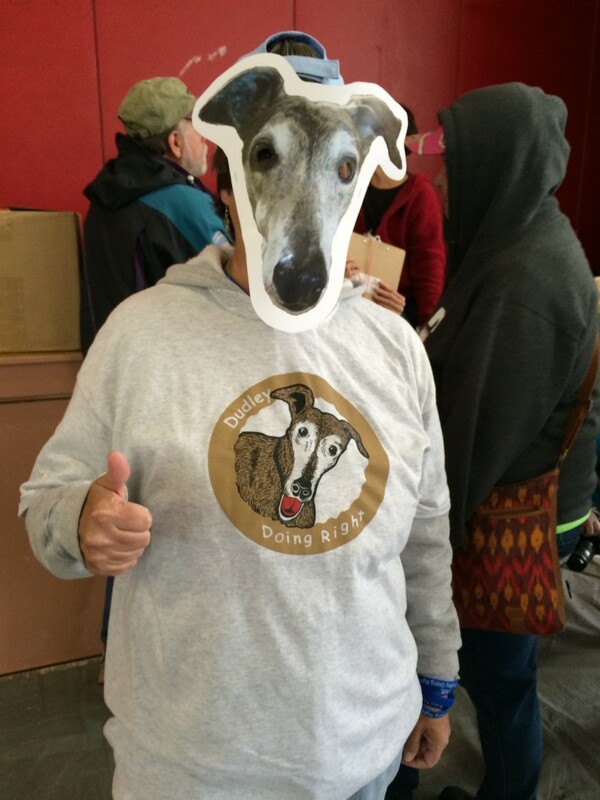 The Greyhound Gathering is sponsored by an organization called the Greyhound Gang, which Presto founded. 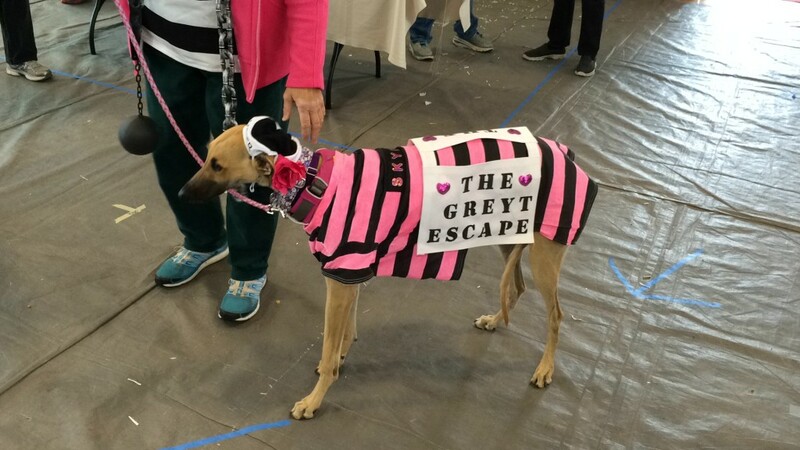 She said the plight of greyhounds who needed homes when they could no longer race tugged at her heart until she decided she had to do something about it. 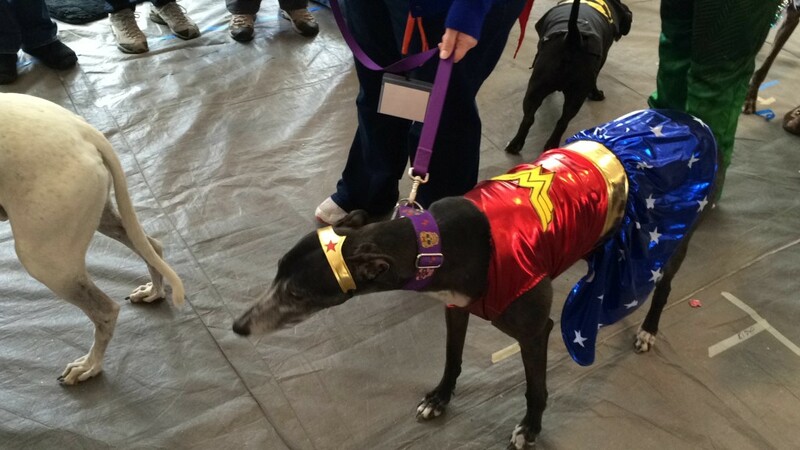 “I had to help them,” she said. 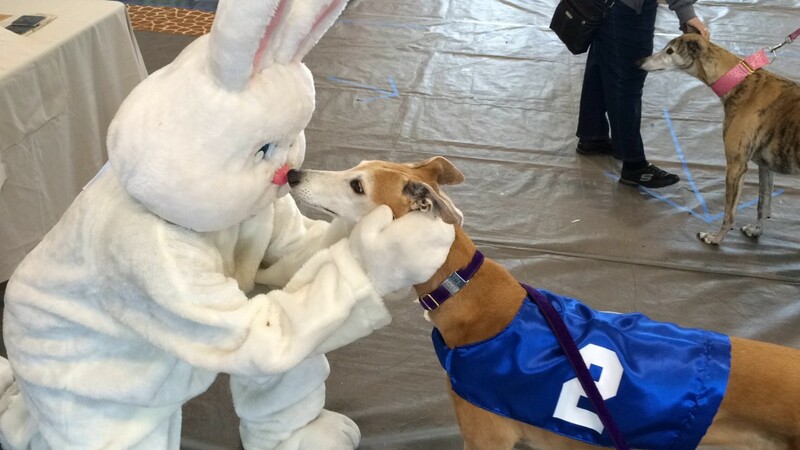 So, why the love affair with greyhounds? 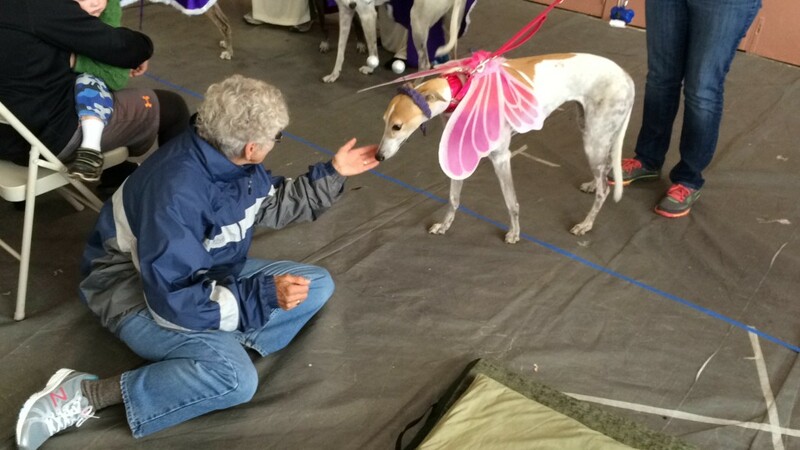 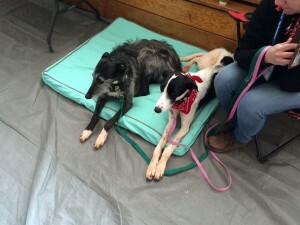 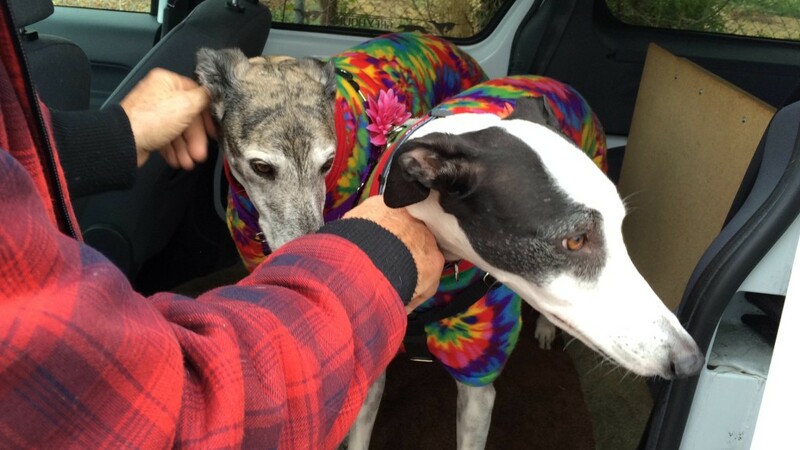 Greyhound Gathering events conclude Sunday afternoon.